Our first VR 360 Gyro flight instruction video! Jake started a topic Our first VR 360 Gyro flight instruction video! 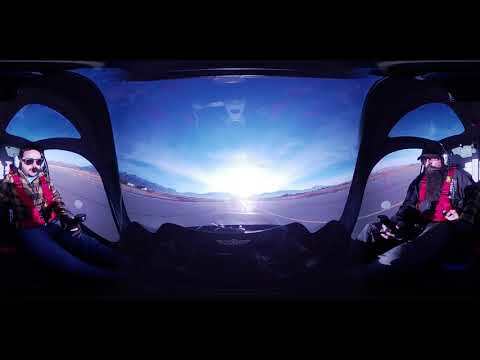 We just posted our first VR 360 Gyro training video. My kids actually like this one with my phone and VR headset! It is pretty cool to be able to look around and see the throttle and everything else. I think it turned out pretty cool. Thanks Brian, I have been looking for my VR headset, I want my kids to do this in it, not sure where it went! I don't know if runway 12 should be facing the sun. I guess it could be pretty close. Northern latitude winter sunrise . . .? By the way , the video looks like fun, so thanks for posting. Should runway 12 ever be facing the sun? That is ridiculously cool! Thank you for posting this. I used to shoot 360 images from helis and gyros back in the early '00s and always loved that sense of immersion. Might have to buy a VR headset now just to get the full effect of your video. Needed an excuse anyway.